When the final whistle sounded on the turf of Abu Dhabi's Sheikh Mohammed bin Zayed Stadium it signaled the end of Palestine's 2018 World Cup hopes. It seems all a bit premature with the finals more than two years away but the reality is Palestine outlasted 88 other national associations in their quest to qualify. Those left by the wayside include Angola (finalists in 2006), Bahrain (the last team to be eliminated in 2006 and 2010 editions). Five days later another recent finalist- Korea DPR- bit the dust along with Jordan (the last team eliminated in 2014 qualifying). Fans would have been hoping to see the dream last a little longer but there's absolutely no shame in going out at this stage; especially given the transitory state of the team. The goal now for Abdel Nasser Barakat's charges is to qualify for the nation's second straight Asian Cup finals. That will require the team to continue on its current trajectory while also building for the Asian Cup finals in UAE in three years' time. Palestine's final game of the 2015 Asian Cup had served to foreshadow the future to a certain extent. Toufic Ali was given a start in goal, Abulatif Bahdari took over the captaincy and proceeded to provide a threat on set pieces as well as steady guidance at the back, and Abdallah Jaber played all 270 minutes of the tournament. 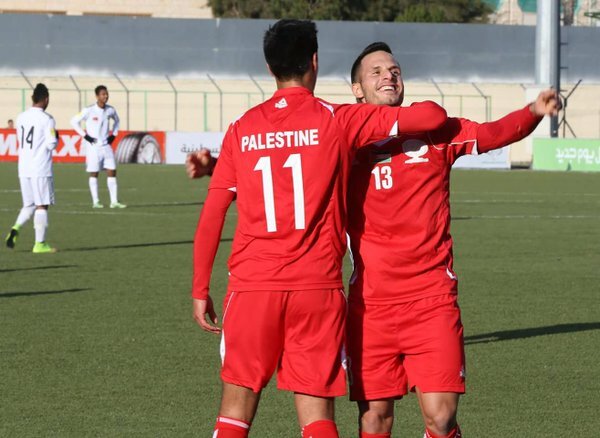 New additions from Palestine's diaspora in the form of Jaka Ihbeisheh (scorer of the team's lone goal) and Mahmoud Eid remained prominent parts of the side while the rest of the 21-man squad were either jettisoned or given reduced roles. Challenge Cup MVP Murad Ismail was suspended for misconduct; joining him in the dock was Raed Fares who had publicly chided his lack of playing time given to him to BeIn Sports after the Jordan game. Ramzi Saleh, the captain, goalkeeper, and driving force of the national team for a generation was also cast aside; his erratic form and behavior making him a liability in his mid-thirties. Husam Abu Saleh chose to retire from the international scene while Ismail Amour was forced back into the international exodus he was summoned from. With so many exits, it was clear that a new core had to be formed. 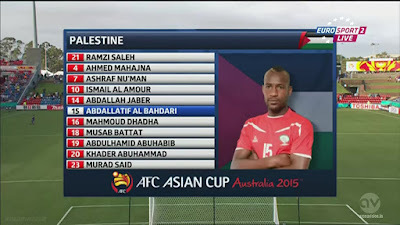 Palestine qualified for the 2015 AFC Asian cup on the back of a handful of players led by an excellent manager (Jamal Mahmoud). Ramzi Saleh made the saves asked of him but Haitham Dheeb and Abdelatif Bahdari (with the help of Omar Jarun) made sure not much was required of him. The system in place put Ashraf Nu'man in position to do what he does best- exploit space and beat defenders one-on-one. It was a sometimes ugly, one-dimensional style, but it could be tremendously effective when the team was disciplined enough to execute it. Come the big show down under- all discipline had disappeared and with Ashraf Nu'man's form beginning to regress Palestine lacked a way of stopping and scoring goals. First and foremost, Palestine's midfield was completely ineffective in Australia. 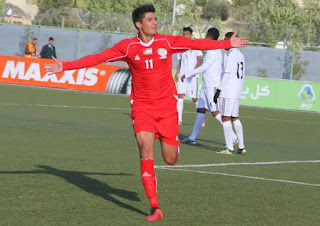 Murad Ismail was virtually non-existent, Hesham Salhe was playing on one good knee, and Khader Yousef struggled to connect defence to attack. Further up the pitch- Abuhabib was exposed as a flat track bully and went missing for long stretches against stronger Asian opposition. The solution Barakat opted for was a mix of old and new. The manager's stated aim during this campaign was to build "a new national team with a new generation while retaining certain veteran elements who could provide their expertise". In this case the veteran presence was provided new captain Abdelatif Bahdari (32), his stand-in Ahmed Mahajneh (30), and Haitham Dheeb (30). Along with Tamer Salah (29) the quartet would be tasked with resuscitating a backline that conceded 11 goals in three games at the Asian Cup. Alexis Norambuena's (32) return from injury also provided stability at right back giving Mus'ab Battat more time to learn on the job. With Abdallah Jaber amassing cap after cap on the left flank a semblance of a backline had been formed. Dheeb and Bahdari would start while Mahajneh and Salah would provide spot duty when needed. In a midfield, the double pivot of Shabab Al-Dhahrieh's Mohammed Darwish and Chilean-born Pablo Tamburrini provided strength and intelligence in possession. When available the 'back six' picks itself Alexis-Bahdari-Dheeb-Jaber with Darwish and Tamburrini in front. After the draw last April many Palestine fans would have gladly accepted undefeated home record with a +13 goal differential and zero goals conceded. Defensively, Palestine were atrocious during the Asian Cup so to be able to hold off the likes of Sahlawi, Shahrani, Khalil, Mabkhout, and Abdelrahman is nothing short of impressive. Even more so when you consider two matches were held on neutral territory in Amman at the behest of Saudi political forces. 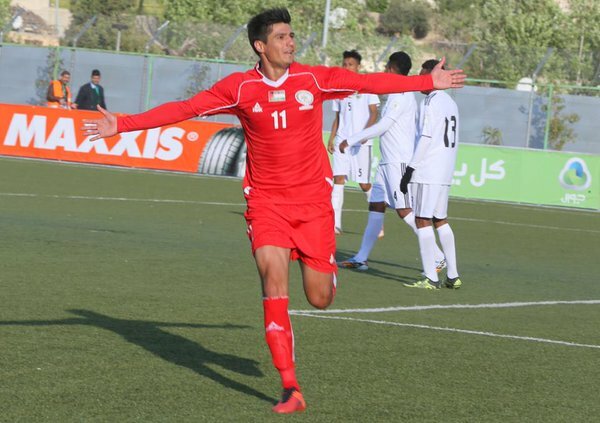 Palestine bizarrely dropped points against Timor Leste in Dili in a game that featured seven Brazilians who were naturalized in suspicious fashion. Ahmed Abu Nahya scored late to rescue Palestine's hopes of qualifying but the timid first half is perhaps the only blemish on Abdel Nasser Barakat's record in his first year in charge. After speaking with some of the players, travel fatigue was certainly a factor in the subpar performance with a missed connection costing the players valuable recovery time. On the administrative side, things have to improve. Palestine could well find themselves in an Asian Cup qualifying group with trips to Guam or North Korea in the and with they can ill afford a repeat of this calamitous affair. Sometimes, in sport, it comes down to luck. What if Omar Abdelrahman didn't score a late winner against Timor Leste? What if Malaysia didn't throw away a 1-0 lead vs. Saudi Arabia in the last 15 minutes? What if Palestine were drawn in a different group altogether? In the end, Palestine were one game away from the next round- and if the ref was different on the day? Who knows? Maybe we're planning for 10 additional World Cup qualifying games and booking tickets to the Asian Cup three years out. The final round of qualifying will tell us more. Maybe Palestine were unlucky- perhaps Saudi Arabia has returned to that elite Asian level they were at 10 years ago. Perhaps UAE is the UAE that dazzled at the London Olympics and won third place at the 2015 Asian Cup. Perhaps Thailand, Syria, and Iraq deserve to be there or perhaps they just got a lucky draw. One of the things Abdel Nasser Barakat highlighted in the post match press conference after the 7-0 drubbing of Timor Leste was the desire to have "three or four options at each position as to not to be too reliant on any one player." You can start to see the start of that at certain positions- on the wings for example. Barakat has started Tamer Seyam, Jonathan Cantillana, Ahmed Maher, Jaka Ihbeisheh, Sameh Mar'aba, and Imad Zatara. Up top Mahmoud Eid, Matías Jadue, Ahmad Abu Nahyeh, Ashraf Nu'man, and Yashir Pinto all started at least one game. Further back the team is bereft of options. If Bahdari or Dheeb can't play the next man up is Tamer Salah and then it gets dicey. 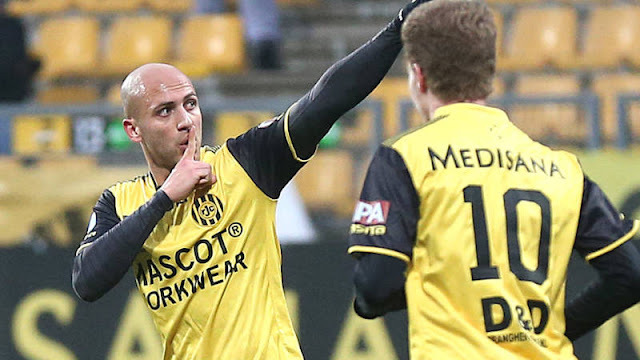 Ahmed Mahajneh is a right back by trade and his last minute blip vs. Saudi Arabia is still etched in everyone's mind. Over the next year, Barakat will need to identify viable alternatives at center back and allow them plenty of time on the field. At 32, there is no guarantee that Bahdari's level will remain the same come 2019- when he'll be nearly 35 years of age. Who will lead the attack? Palestine might have a bevy of options in attack but Abdel Nasser Barakat is no closer in identifying the winning combination. 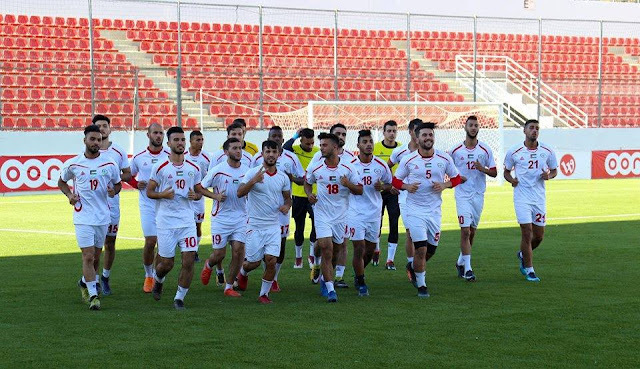 A lack of friendlies and a lack of time has conspired against Palestine- Barakat's first game was the first World Cup qualifier and the only opportunity the team has had for an official friendly was a bout against Lebanon in late August. The big difference between Palestine now and Palestine 365 days ago? Options. Ashraf Nu'man and Abdelhamid Abuhabib led Palestine to the 2015 Asian Cup but there's no guarantee they'll be there in 2019. Neither player scored a goal in World Cup qualifying and their form has been forgettable to say the least. 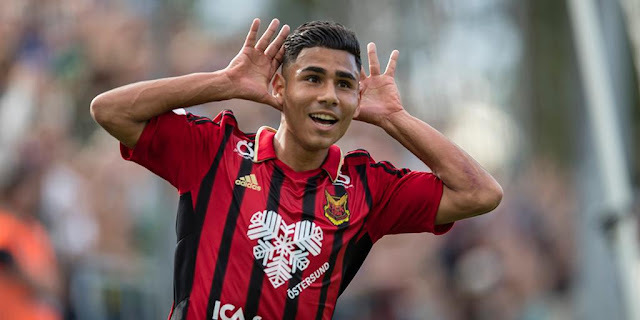 Going forward, perhaps the young Ahmed Awad will become the natural choice as a #10. On the wings, Cantillana, Seyam, and Ihbeisheh were the three that stood out during qualifying and I expect to see continued rotation of the trio. What is abundantly clear is that Palestine need a goalscorer. They have options but not a solution to the problem. Mahmoud Eid has the most experience of the bunch but it might make more sense to play him on the wing as that's where he plays at club level. Matías Jadue, Ahmed Abu Nahya, and Yashir Pinto all scored on their competitive debut but there's little to separate the three asides from style of play (Abu Nahya is fast, Jadue is a prototypical target man, and Pinto is a classic #9). There's also the small matter of Carlos Salom who has accepted the call to play for Palestine but has yet to suit up. 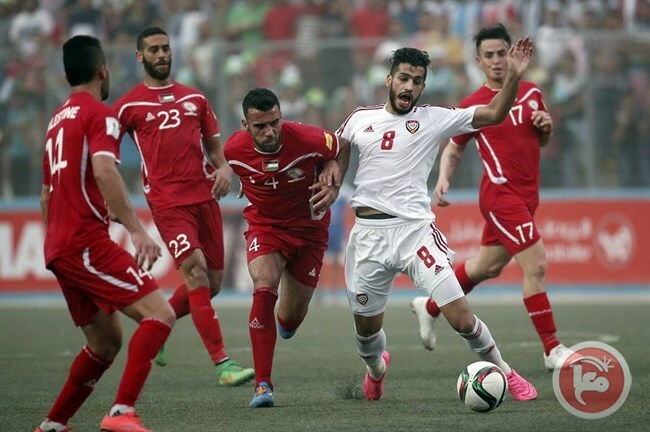 Palestine will learn a little bit more about its fate on April 7th when the AFC hold a draw for the preliminary round of Asian Cup qualifying. Until then there should be a friendly on every FIFA date to help further develop this team. Given the fact that Palestine has given a good account of themselves- teams should be lining up to play them especially should they have Iraq or Syria in their qualifying group. Palestine need to qualify for the 2019 AFC Asian Cup. Anything short of that target would rightly be considered a failure.